According to the Halifax latest house price index the average price of a home across the UK has reached £200,000. The highest on record. According to the figures just released this follows a surge in house prices of 1.7% in June. 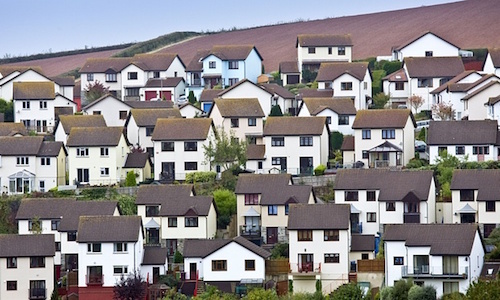 This means that house prices have increased by 3.3% in the three months to June. If the current trend continues house prices will be just under 10% higher than 2014. The current forecast of an increase of 6% now looks conservative and looks as though this will have to be revised upwards. According to the Halifax the increase of 1.7% in June was a big surprise and is likely to be at odds with other industry figures yet to be released. However one thing is for sure and that is the property market is in rude health. A shortage of homes is responsible for the rapid price increases and this looks set to continue in the short term. According to the Halifax the lack of homes is the biggest driver of price increases as well as the outcome of the General Election. As soon as it was clear there would be no mansion tax and housing reforms that would have been introduced the housing market took off again. It London the market is not being driven by Londoners but is instead being driven by overseas buyers who are shifting their money the the shores of the UK. Now it is the turn of the Chinese to buy up swathes of London due to the crash in the Chinese stock market. The reason for this is that London is a safe haven in comparison to many parts of the world. Wealthy foreign investors know their money will be safe subject only to the vagaries of the housing market. This is the reason that prices are being pumped up in London and these flats will not even be completed until 2019.